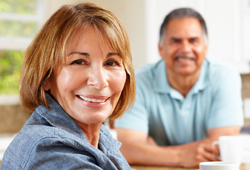 Daniel and Maggie worked for many years building up their nest egg for retirement. While they felt their savings and investments would cover their own needs, they wanted to make sure that their three children were provided for in the future. One afternoon, a gift planner from United Methodist Women met with them to thank them for their faithful gifts each year. The conversation turned to the couple's long-term planning goals. Maggie: We wanted to continue making annual gifts to charity. Yet at the same time, I was concerned about sacrificing our children's inheritance. Daniel: Our stock portfolio had appreciated significantly over the years. I wanted to pass these gains on to my family without paying a lot in gift or estate tax. The gift planner told them about a way in which they could achieve their personal and charitable goals through a charitable lead trust. The trust would pay income to United Methodist Women for a number of years. Then the full trust value, plus any growth, would go to their children. The plan would allow them to pass on substantial wealth to their family at little or no gift tax at all. It would also reduce the size of their estate in addition to helping United Methodist Women further its work. Maggie: I could see how this plan would be very helpful if the trust was funded with our stock. Each of our children would receive one-third of the trust assets in the future. At the same time, we would continue to make gifts to charity each year. Daniel: I also thought the plan was a good one. It would give our children time to learn how to save and invest their future inheritance. 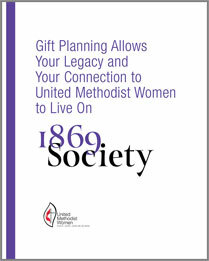 So we setup a charitable lead trust plan that would begin paying United Methodist Women income each year. The prospect of helping our children succeed in the future while providing for our favorite charitable cause made us pleased with our decision.